If you have an email hosted with StudioCoast and wish to set it up in an email program, you will firstly need to locate your Email Connection Information. To locate this, please follow the below steps. 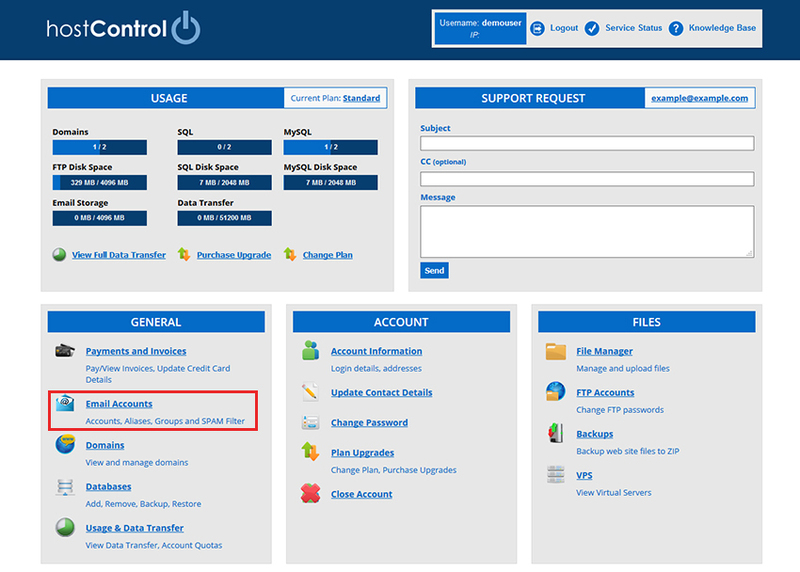 Login to your account with us via hostControl by visiting hostcontrol.com.au in your browser. Then select the "Email Accounts" menu item under the General section. Choose your domain name from the dropdown menu. Then select the 'Connect Info' link to the right of the email account. Your connection information will appear above your list of email accounts. 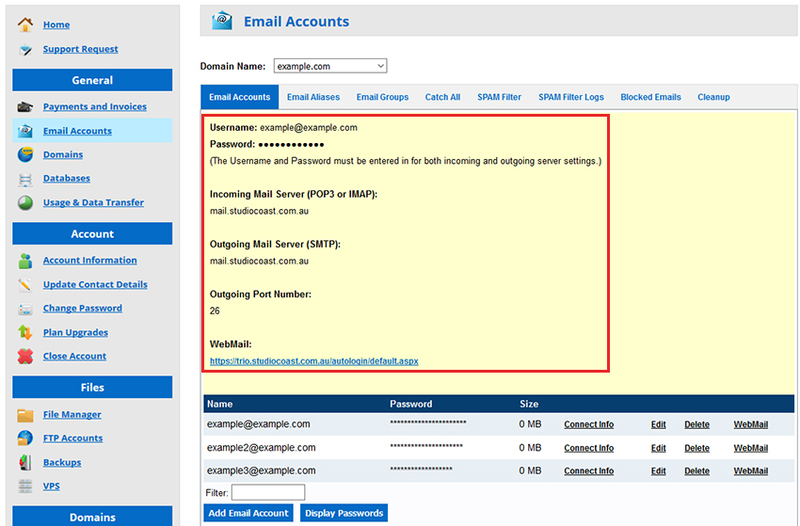 You will need to take note of your Username (email), Password and Incoming Mail Server. Do note that StudioCoast has several different mail servers so this will not always be the same. Your connection information will confirm the correct one for you.